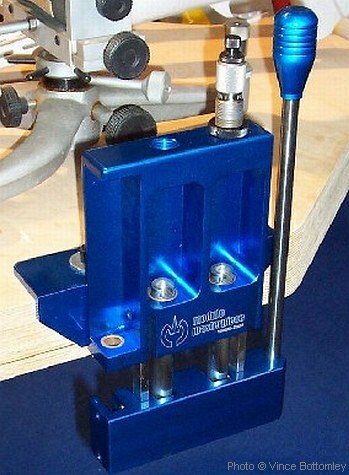 Modulo Masterpiece — Ultimate Portable Press? Editor’s note: We don’t know of a US importer, but you can contact Vittorio directly. Information for his company in Torino, Italy is found on the Modulo Masterpiece website. Send email to: info [at] modulo-masterpiece.it. Share the post "Modulo Masterpiece — Ultimate Portable Press?" Here’s a sweet deal for you game hunters out there. SWFA is offering a FREE Garmin eTrex hand-held GPS with the purchase of a Burris Fullfield II scope. We’ve checked around the web and the Garmin eTrex, by itself, runs about $95.00. SWFA’s promo price on the Burris 3-9×40 Fullfield II Rifle Scope with GPS is $209.95, so that means your effective cost for the optic is just $115.00. Not bad for a scope with fully-coated lenses and the Burris No-BS “Forever” warranty. 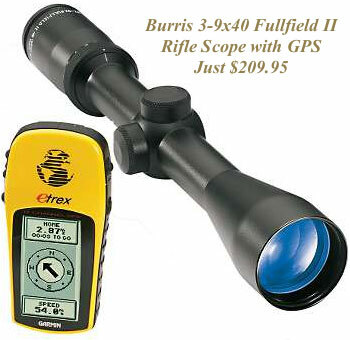 SWFA is also offering a Garmin eTrex GPS with the purchase of a Burris 4.5-14×42 Fullfield II rifle scope. The package price for the 4.5-14×42 model and GPS is $339.95. 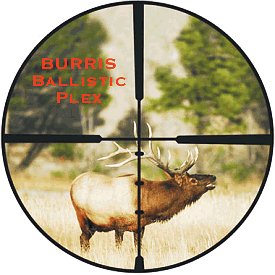 Both Burris scopes (3-9 and 4.5-14) feature 1/4-MOA clicks and a Ballistic Plex reticle. This reticle design has vertical hash marks to help with holdover at long range. The Garmin eTrex GPS is considered a rugged classic. It is compact and light weight at mere 5.3 ounces with batteries, with the buttons positioned on the side for easy, one handed operation. The casing is rugged and waterproof to IPX-7 standards. The eTrex will operate for about 15 hours on two AA batteries. Share the post "SWFA Promo: Burris Scope and GPS for $209.95"